Ten winners will win two tickets to the 7 p.m. VIP preview performance on Tuesday, Jan. 15 of “Every Brilliant Thing,” the new production by TheatreSquared now playing Nadine Baum Studios. 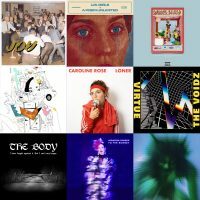 Here are nine albums that moved Flyer contributor George Kuharick in 2018. These albums are the ones that spoke to me in 2018. I hope you found a collection of songs or albums that moved your soul this year, too. A new musical based on a best selling book is coming to Walton Arts Center next month, and we’ve got a pair of tickets to give away to the show. I enjoyed reading J.K. Rowlings Harry Potter novels as well as watching the previous films. I can’t say the same about the latest venture into the wizarding world. My guess is that ‘The Grinch’ would likely keep most kids under 10 entertained for most of the movie’s running time, but there is very little for adults familiar with any of the other versions of the story. A new music based on the life and music of Grammy-winning power couple Gloria and Emilio Estefan is coming to Fayetteville next month, and we have tickets to give away to the show. It might not live up to everything everyone wants from a movie based on the career of a classic rock band like Queen, but the film was a straightforward showcase of the band’s music played out on a huge screen and with a fantastic sound system.